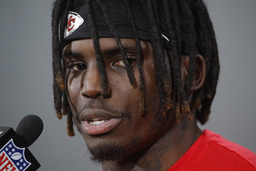 OLATHE, Kan. (AP) Kansas City Chiefs star receiver Tyreek Hill is maintaining his innocence after prosecutors declined to charge him in a domestic incident that involved his fiancee and their 3-year-old. 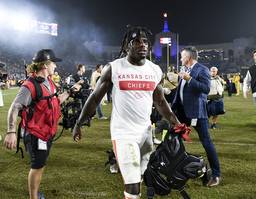 Police were called to the Kansas City-area home of Hill and his fiancee twice last month, and investigators determined their child had been injured the second time. On Wednesday, the Johnson County, Kansas, district attorney declined to press charges in the case because he could not determine whether Hill or his fiancee was responsible. The boy has been placed in protective care. 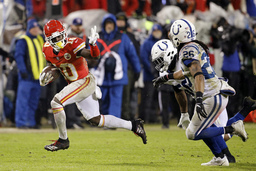 The Chiefs issued a comment late Wednesday acknowledging the prosecutor's decision but declining further comment.